Making reading fun with magazines! We all know the importance of encouraging our children to read and develop their literacy skills but sometimes it can be really though for parents! To help provide alternative materials for parents, Immediate Media have teamed up with Words For Life to show how magazines can be a fun and engaging way of getting children excited about reading! 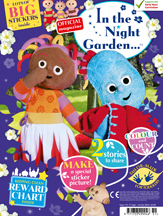 There’s lots to read and do with all your favourite characters, covering a variety of age grounds, and great brands like CBeebies, Girl Talk, and Match of the Day! All the pre-school magazines are packed full of educational activities, making them the perfect way to get your little one learning phonics, letters and mathematics whilst engaging with some of pre-school’s most-loved characters! Plus, all the magazines are linked to the Early Years Curriculum so they support what our children are learning in pre-school, nursery and reception classes! The pre-teen magazines are a fun and interactive way to get your children reading on a frequent basis! Whether they’re interested in historical facts, football or celebrities, you’ll find a magazine that they’ll love! 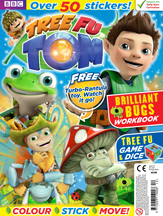 There’s also loads of free activity sheets and sample magazines you can download!